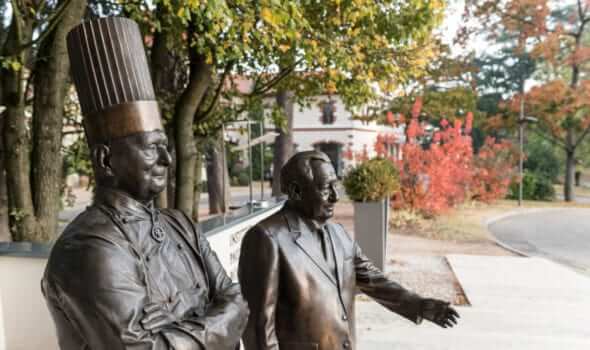 Inspired by the visionary leadership of our two iconic founders –Paul Bocuse and Gérard Pélisson– Institut Paul Bocuse has developed into a renowned International School of Culinary Arts, Hospitality and Food Service Management. Institut Paul Bocuse is the only international French school with 55 different nationalities studying on campus, meaning we are able to offer our 1,000 students a unique multi-cultural learning experience. As part of the Institut Paul Bocuse family, our 900 students in Lyon and those on our 9 international campuses share precisely the same values and the same programmes of study. 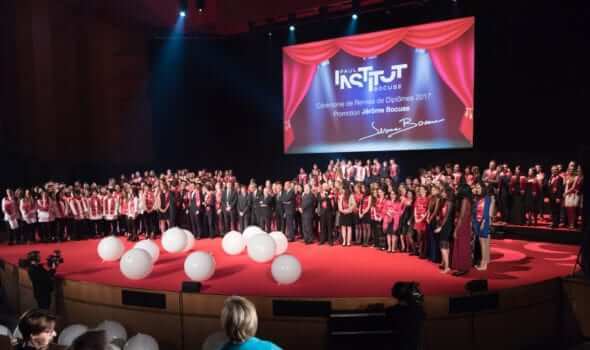 The Institut guarantees faithful transmission of the teachings that underpin the success of exceptional restaurants and hotels around the world. The future begins here! The spirit of our school and its dynamic approach to education ensure that those who leave here are among the best. Under the initiative of Jack Lang, the Minister for Culture and the honorary patronage of Paul Bocuse, the Ecully Culinary Arts and Hospitality State School was opened, with the objective of promoting French gastronomy across the globe. Gérard Pélisson becomes President of the Governing Body alongside Paul Bocuse. Backed by Hervé Fleury and with Jean Moulin Lyon 3 University, Institut Paul Bocuse becomes the first-ever school to introduce hospitality and cooking into a university’s programme portfolio by creating a professional degree course in the subject. Opening of our Center for Food & Hospitality Research, the first-ever in Europe. With doctoral students on campus, our learning community now has access to the highest level of studies and benefits directly from a centre dedicated to researching new trends and whose work inspires the content of our courses. Creation of the Alliance by Institut Paul Bocuse, a network of renowned university partners and the force behind our Institute’s international development strategy. Creation of l’Institut Restaurant, located on place Bellecour in Lyon. Launch of the 4th year specialisation and MSc in International Hospitality Management in partnership with emlyon business school. 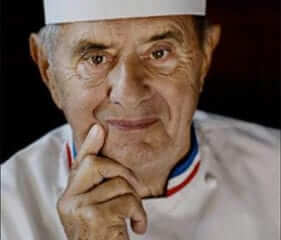 Creation of the G&G Pélisson Foundation for Institut Paul Bocuse, under the patronage of Gilles Pélisson. 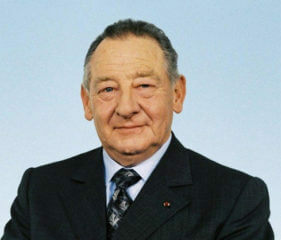 Hervé Fleury becomes Delegate General. 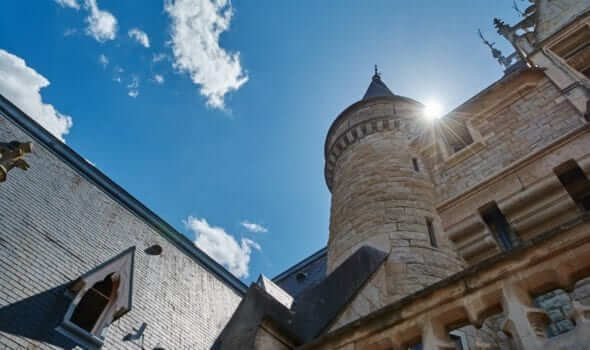 Institut Paul Bocuse becomes the first-ever hospitality and food service higher education institution to be awarded dual recognition by the French State. In addition to its original certification (RNCP) by the Ministry of Labour, the school becomes fully certified by the Ministry of Higher Education, Research and Innovation. Launch of the 1st Bachelor in Food Service Management.